Enjoy healthier, lower fat tacos without the rice or taco shells with these Thirty Minute Quinoa Taco Bowls. These are just like burrito bowls only you sub the rice with quinoa! Taco bowls. Yeah! I get pretty excited about taco bowls. I’ve only made them oh a thousand or so different ways. Ok, maybe I’m exaggerating just a little. BUT, I am sharing another taco bowl recipe with you today. So that makes 1001, right? This taco bowl is special. I made it with quinoa. Or as Ken called it “the stupid rice.” Ha. Stupid rice. I think that really means “the stuff that isn’t really rice.” Funny thing, though. Cause I know he likes quinoa. I’ve made it before to use in other recipes and he liked those recipes. I think he just thought it was a weird item to pair with a taco bowl. But I didn’t think it was weird at all. I love quinoa. And did I mention that it’s healthy? Sure is. It’s pretty hefty on the nutrients. I made these bowls on a whim. Once again, I had ingredients in my pantry and fridge that were screaming to be used. Screaming so loud that I had to use them up in fear that I was going to go completely insane due to the noise. Ok, that’s not really how it went down. I was lazy. It was a long day at work. I wanted a tasty meal on the table super quick. And when I say table, I mean our coffee table in the living room or our desks upstairs. Cause you know we never use our perfectly fine dinner table. Unless its to take photos of my food creations. See, the dinner table gets some love too. Can’t be too stingy with the love. So thirty minutes you say? Yep, thirty minutes I say. That’s about all it takes to prepare this meal. Actually, it’s probably less time then that but if you get distracted easily like I do, there’s some buffer time in there for you. To cook the quinoa, simply place it in a rice cooker, following the directions as you would for rice. 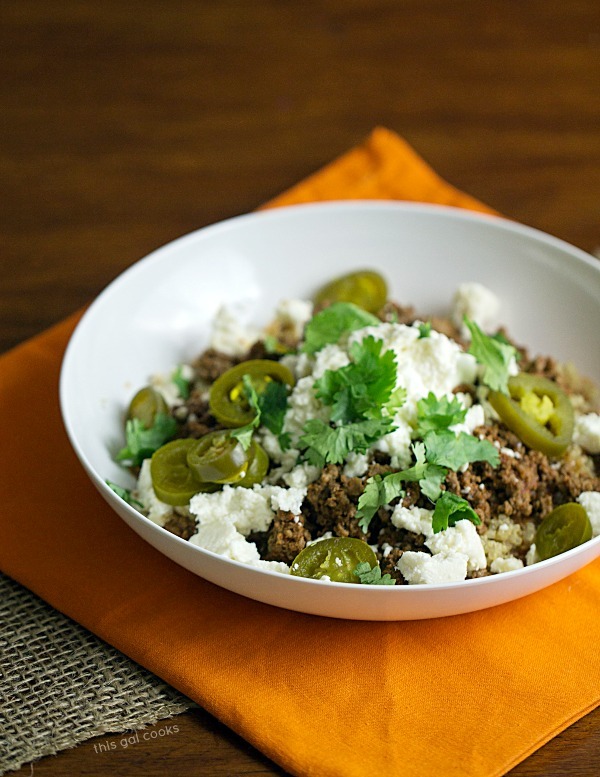 While the quinoa is cooking, cook your ground turkey, add taco seasoning and put together your toppings. 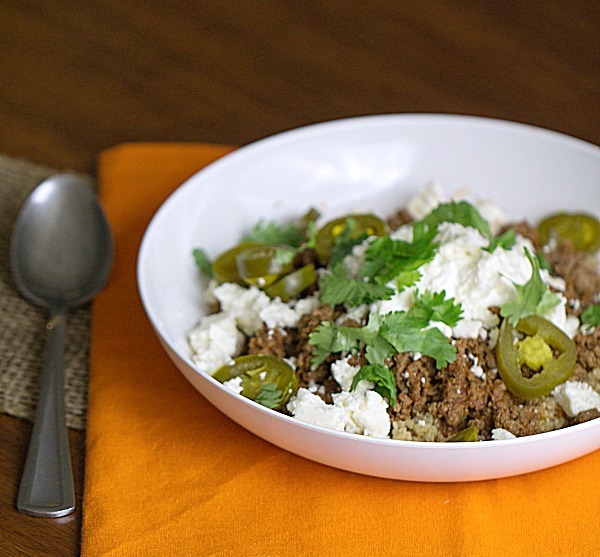 Simply put, take the queso fresco, sour cream, cilantro and jalapenos out of the fridge and place them on your counter. When everything is done cooking, place in a bowl, top with toppings and enjoy! Cook the quinoa in your rice cooker. Follow the instructions you would use for cooking rice. In a skillet, cook the ground turkey until browned and thoroughly cooked. 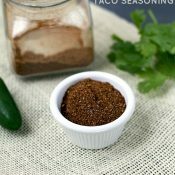 Mix the taco seasoning and 2 tbsp water into the ground turkey. Place the cooked quinoa in a serving bowl, top with ground turkey and your favorite toppings. Calorie count is approximate with the toppings I used. Choice of toppings will alter nutrition content. I love this Julie! A great way to get quinoa into your diet (or your kids)! I love taco bowls too! 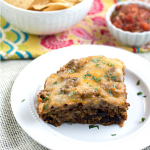 And I love when I see a quick weeknight meal. I’ve been in a rut with meal planning lately because, by the time I get home, I don’t want to spend a lot of time cooking dinner. I’m definitely adding these to my meal plan though. Pinned! I know exactly how you feel. I often do not feel like cooking at all during the week. I kinda force myself to do it but we usually also go out once or twice per week, during the work week. 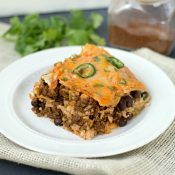 But these quick, easy meals are perfect and don’t make me cringe when I think about cooking during the week. Thanks so much for stopping by, Ashley! I LOVE quinoa! Seriously could eat it all of the time! My son would probably eat it now if I added jalapenos to it! Me too! OH jalapenos are just so awesome. I add them to so many things. That or hot sauce! Thanks for stopping by, Nancy! I must have this right now!! Please send me a bowl via email ;) I will definitely be trying this. I think I like “the stupid rice” better than the real thing hehe. Quinoa taco bowls? Girl, you’re a genius! These sound like the perfect weeknight dinner to me. So tasty, easy and nutritious! Thank you, Consuelo! I like the quinoa too. But if I were to use rice, I’d use brown rice! Thanks for stopping by! I love anyway of adding more quinoa into our diet. I love it as a replacement for rice and pasta. It’s is so much more nutritious! My dad makes fun of quinoa, but I know he secretly likes it. It’s one of my favorite foods! It’s so good! I can eat it plain. I love taco bowls, always a great and easy dinner!! Ken cracks me up…that stupid rice hahah. This bowl is a great way to get quinoa into our diets. 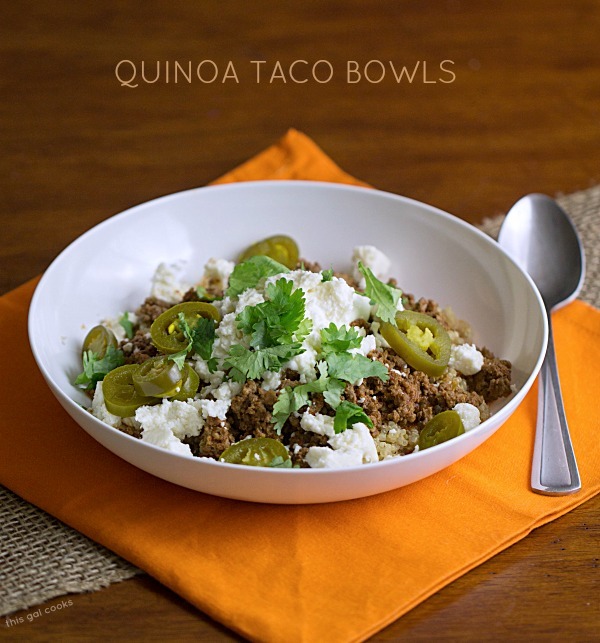 Never had quinoa, but this taco bowl looks yummy! Stopping by from the SITS Comment Love Tribe. Oh wow! This looks great! Gonna have to pin it. I am looking for good ways to use quinoa. I will be making these! Sharing some SITS love and enjoying your site! Hi Julie!!! I will have to pass this along to my friend. She eats quinoa a lot more than i do and she loves her burritos, haha. I think she’ll definitely get some use out of this! I so have to try this! It looks AMAZING. New friend stopping by from SITS. Hi Katie, thanks so much for stopping by! Have a lovely week and I hope you enjoy the recipe if you try it! I love quinoa! These sound amazing. I might have to make them tonight, or at least this week! LOL. I was laughing about it! He has had quinoa before and he liked it! Silly guy. Thanks so much for stopping by, Tina!